Neurovascular dysfunction, including blood–brain barrier (BBB) breakdown and cerebral blood flow (CBF) dysregulation and reduction, are increasingly recognized to contribute to Alzheimer’s disease (AD). 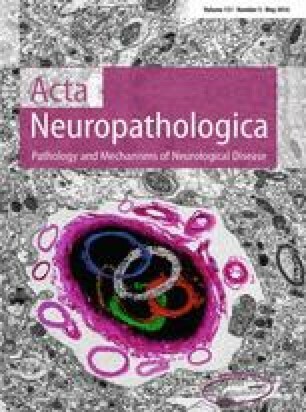 The spatial and temporal relationships between different pathophysiological events during preclinical stages of AD, including cerebrovascular dysfunction and pathology, amyloid and tau pathology, and brain structural and functional changes remain, however, still unclear. Recent advances in neuroimaging techniques, i.e., magnetic resonance imaging (MRI) and positron emission tomography (PET), offer new possibilities to understand how the human brain works in health and disease. This includes methods to detect subtle regional changes in the cerebrovascular system integrity. Here, we focus on the neurovascular imaging techniques to evaluate regional BBB permeability (dynamic contrast-enhanced MRI), regional CBF changes (arterial spin labeling- and functional-MRI), vascular pathology (structural MRI), and cerebral metabolism (PET) in the living human brain, and examine how they can inform about neurovascular dysfunction and vascular pathophysiology in dementia and AD. Altogether, these neuroimaging approaches will continue to elucidate the spatio-temporal progression of vascular and neurodegenerative processes in dementia and AD and how they relate to each other. We thank the National Institutes of Health (NIH), the Zilkha Senior Scholar program, and the Alzheimer’s Association for support. Dr. Zlokovic’s research is supported by the NIH through grants R37NS34467, R37AG23084, and R01AG039452. Dr. Pa’s research is supported by the NIH through grant R01AG046928 and the Alzheimer’s Association grant NIRP12259277. Dr. Toga’s research is supported by the NIH through grant P41EB015922. We apologize to those authors whose original work we were not able to cite due to the limited length of this review.